When it comes to avoiding messy septic system disasters, upkeep is key. While consistent septic tank maintenance is incredibly important, it’s also essential to monitor the drain field. The drain field is responsible for filtering out toxins after contaminated liquid leaves the septic tank. 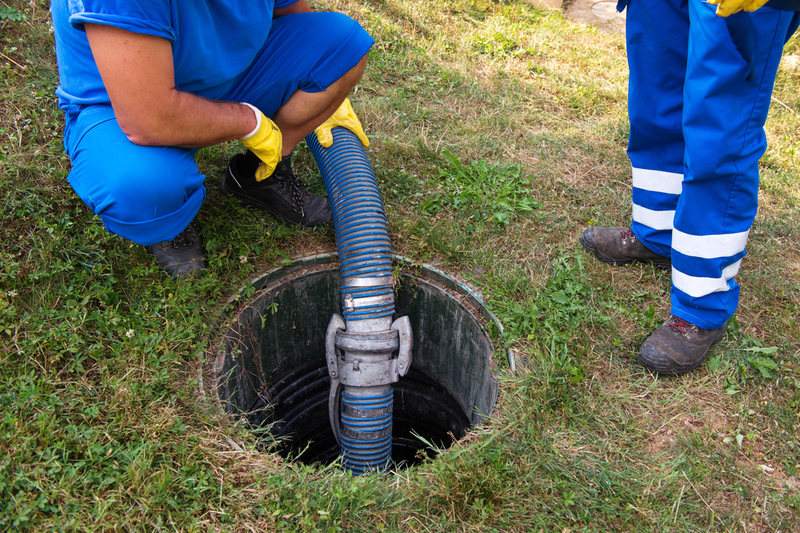 Failing to adequately care for the drain field of your home septic system could leave your family vulnerable to a number of health hazards, so use these tips to preserve your drain field’s vigor. Having a yard lush with trees and plants is completely doable—as long as they are also positioned far away from your home’s drain field. If plant roots grow enough, they can eventually reach the septic tank, puncturing it or interfering with your septic system’s overall functionality. Before you plant new trees or start a landscaping project, talk to a septic professional. They can inspect your yard and recommend some safe zones for planting. In order to maintain your system’s drainage functionality, keep heavy objects far away from the drain field area. The Environmental Protection Agency advises homeowners to not drive or park cars on drain fields. Other heavy objects that could damage drain fields include above-ground pools, tractors, or yard work machinery. If you have construction professionals working in your yard, make sure they know where your septic tank and drain field are located. In addition to following the EPA’s advice, be sure to schedule frequent inspections of your system, and have your septic tank pumped and cleaned. A professional can check the structure of the tank to ensure that the sludge is at the right levels and check out the drain field. They can make also recommend other maintenance best practices and make any necessary repairs. Whether you recently installed a septic system or have been maintaining the same one for years, you need the right septic system professionals on your side. Cox’s Septic Service in Corbin, KY, has the knowledge and experience to keep your system running. Their budget-friendly services include routine maintenance, emergency plumbing, and leach field inspections. They also offer professional waste removal for companies and large facilities. To view a full list of their services, visit them online. You can also call (606) 528-4782 to schedule tank pumping or an inspection. Other Announcements, Events and Deals from Cox's Septic Service Inc.
A. Cox's Septic Service Inc.